Clean-up PCR and other enzymatic reactions in as little as 2 minutes. 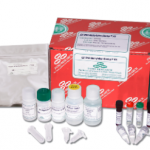 The EZ-96 DNA Methylation-Direct™ Kit features high-throughput (96-well), reliable and complete DNA bisulfite conversion directly from blood, tissue, and cells without the prerequisite for DNA purification. 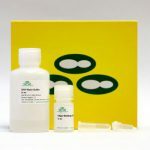 The EZ-96 DNA Methylation-Direct™ MagPrep features simple and reliable DNA bisulfite conversion directly from blood, tissue, and cells without the prerequisite for DNA purification, coupled to a magnetic bead based clean-up for high-throughput methylation analysis..
High-throughput (96-well) bisulfite conversion of GC-rich DNA in less than 3 hours. The EZ-96 DNA Methylation-Gold™ MagPrep integrates DNA denaturation and bisulfite conversion processes into one-step coupled to a magnetic bead based clean-up for high-throughput methylation analysis. 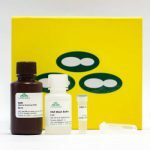 The EZ-96 DNA Methylation™ Kit features a high-throughput (96-well), simplified procedure that streamlines bisulfite treatment of DNA. 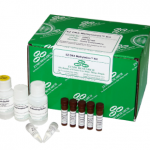 The kit is recommended by Illumina for its GoldenGate® and Infinium® Arrays. 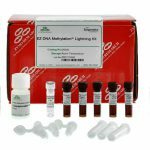 The EZ-96 DNA Methylation-Lightning™ Kit features high-throughput (96-well) bisulfite treatment and conversion of DNA for methylation analysis. 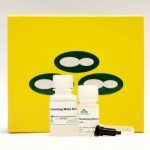 The EZ-96 DNA Methylation-Lightning™ MagPrep Kit features rapid and reliable bisulfite treatment and conversion of DNA coupled to a magnetic bead based clean-up for high-throughput methylation analysis. The EZ-96 DNA Methylation™ MagPrep features a high-throughput (96-well), simplified procedure that streamlines bisulfite conversion of DNA. Desulphonation and clean-up of the converted DNA is performed while bound to the MagBinding Beads. 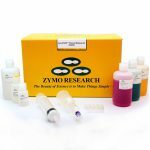 The EZ DNA Methylation-Direct™ Kit features reliable and complete DNA bisulfite conversion directly from blood, tissue, and cells without the prerequisite for DNA purification. 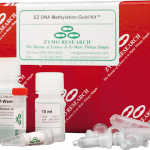 The EZ DNA Methylation-Gold™ Kit consolidates DNA denaturation and bisulfite conversion processes into one step, leading to a much faster bisulfite conversion. 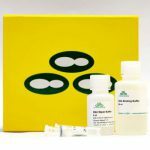 The EZ DNA Methylation™ Kit features a simplified procedure that streamlines bisulfite treatment of DNA. 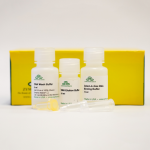 This kit is validated for use with Illumina's GoldenGate® and Infinium® Assays. The EZ DNA Methylation-Lightning™ Kit features rapid and reliable bisulfite treatment and conversion of DNA for methylation analysis. 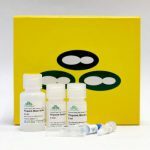 The EZ DNA Methylation-Startup™ Kit provides the necessary technologies required for complete bisulfite conversion of DNA for PCR and methylation analysis. 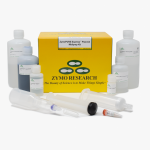 Purify high molecular weight DNA from enzymatic reactions and dilute samples. 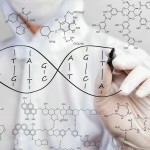 Clean any DNA and RNA oligos. Removal of potent PCR inhibitors in one step. Streamlined method for isolation of DNA from targeted areas of fresh and FFPE tissue slides. 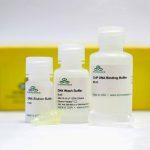 Simple size selection for your DNA sample. Separation of single from double-stranded nucleic acids. 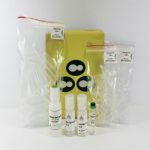 Reusable and simple purification kit for preparing sequence-ready DNA. Highly efficient DNA purification from agarose gels. Easy traditional method for isolating high-quality plasmid DNA from E. coli. 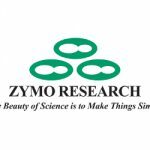 Zymo Research offers several highly active DNA methyltransferase enzymes for use in epigenetics research. Highly efficient large DNA purification from agarose gels. 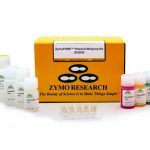 Simple solution for yeast plasmid DNA isolation using Zymolyase. A fast pellet-free method to isolate endotoxin-free plasmid DNA. Vaccine/transfection grade plasmid DNA in ≤ 50 minutes. Vaccine/transfection grade plasmid DNA in ≤ 20 minutes. 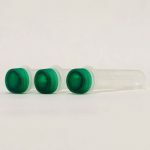 Fastest and simplest method to isolate endotoxin-free plasmid DNA. Pellet-free, high-quality plasmid DNA in only 8 minutes.